Once you arrive at the Dubai International Airport, head straight to the hotel. Check in at the hotel and relax for some time. Savour a delicious lunch at the nearby restaurant. Then, return to the hotel and take rest till evening. Around 7:00 PM, set out for a romantic Dhow Cruise dinner. 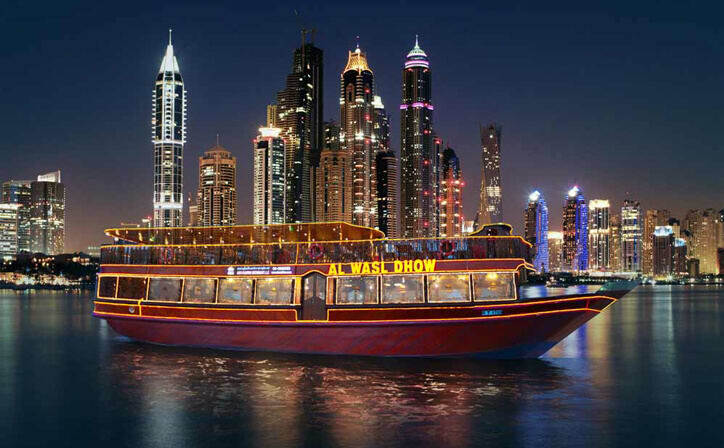 Reach the Dubai Creek to spend an evening under the starlit sky with your family or friends. Enjoy the live entertainment shows performed by talented artists as you relish a sumptuous buffet dinner with a variety of vegetarian and non-vegetarian dishes. 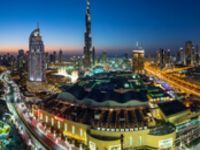 Explore the gems of Middle East in this 4-hour city tour and visit the ultra-modern sites of Dubai. As you drive through the city, pass by the Burj Al Arab, one of the best hotels in the world, and Palm Islands, the man-made islands. Click some photographs near Atlantis hotel, which is located on the apex of Palm Islands, and Burj Khalifa, world's tallest freestanding structure. Visit the historic sites of the city, such as Dubai Museum and Jumeirah Mosque. On the third of your Dubai Trip, enjoy your breakfast at the hotel. Then, you can roam around the local souks of the city on your own. 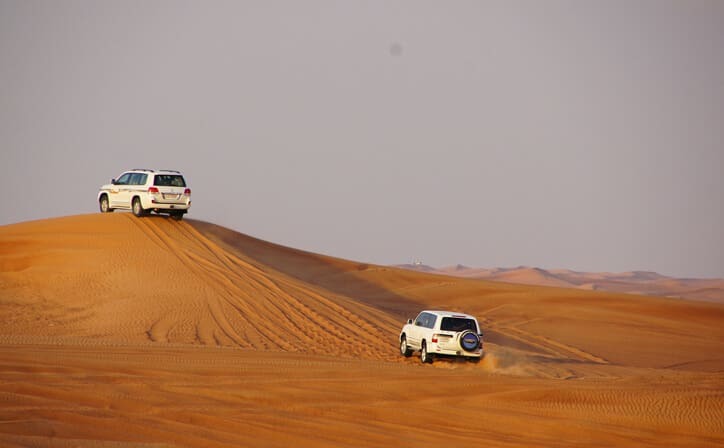 In the afternoon, head to the Desert Camp for a heart-throbbing ride in a 4X4 fully-air-conditioned vehicle. After this adventurous ride, reach the campsite, where you can relish some refreshments. Enjoy some entertaining activities like belly dance, henna tattooing, Tanura show, falcon photography, fireshow and more. Enjoy the buffet dinner, which has both Arabian and Indian cuisines along with a choice of veg and non-veg cuisines. 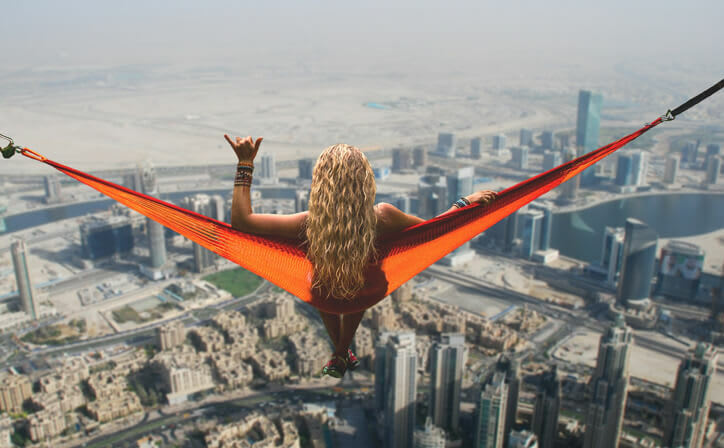 Check out from your hotel and reach DXB approximately 1 hour prior to your flight time..
One of the most stunning cities in the UAE, Dubai makes a popular holiday destination for all kinds of travellers. 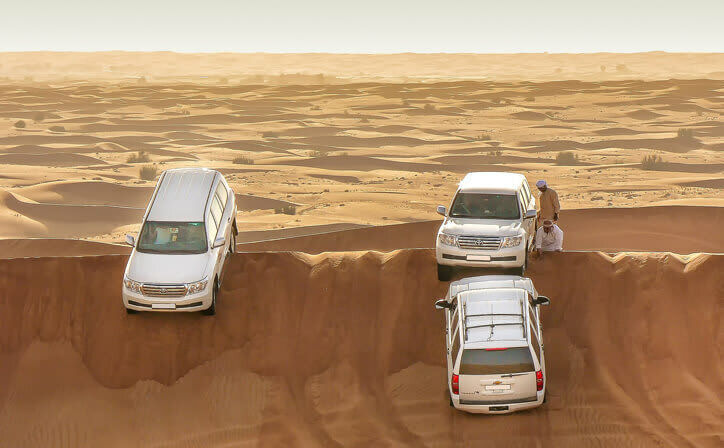 Book this exciting 4-day Arabic Delight Dubai package and have a memorable vacation. Glittering like a jewel of the desert, the glamorous city of Dubai is a land of dreams. Ultramodern skyscrapers rising against an azure sky forms the gleaming skyline of this cosmopolitan city. As night cloaks Dubai, the city comes alive with twinkling lights adorning these tall superstructures. A drive along Downtown Dubai at night leaves you mesmerized by a fantasy land of lights and colours that surrounds you. Burj Khalifa, the tallest building in the world, will leave you open-mouthed in wonder.Fall under the spell of the largest dancing fountain in the world, the Dubai Fountain. Swim with the sharks in the gigantic aquarium at Dubai Mall and lose yourself to a world of make-believe at Mall of the Emirates. A curious blend of traditions and modernization can be seen in every corner of Dubai. A perfect example of this is Al Fahidi Fort, the oldest building in Dubai which is surrounded by a fast-paced metropolis. The sprawling Miracle Garden and Dubai Creek Park is a testament to the determination of the people of Dubai, to beat the odds and grow vibrant blooms smack in the middle of the desert. 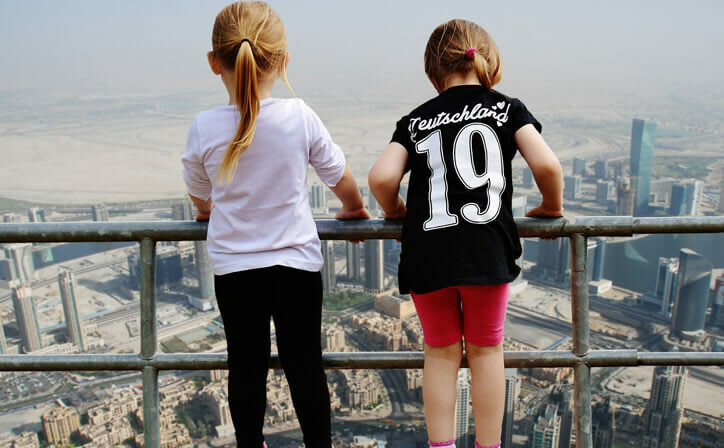 Standing 828 metres high, the Burj Khalifa is hard to miss. 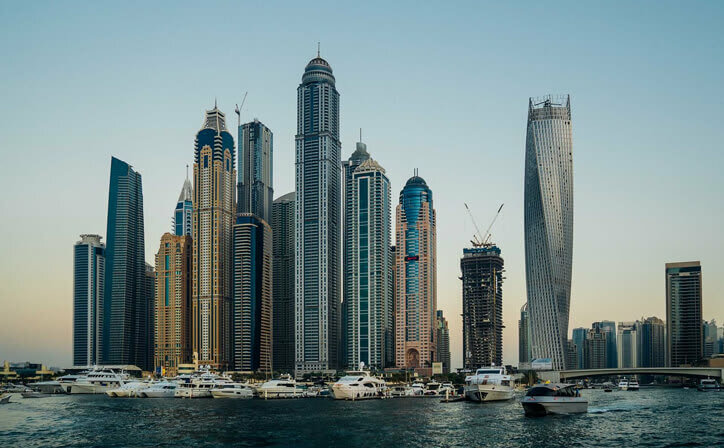 The world's tallest tower naturally dominates the Dubai skyline, but the true majesty of the building is best appreciated up close or, even better, from inside.